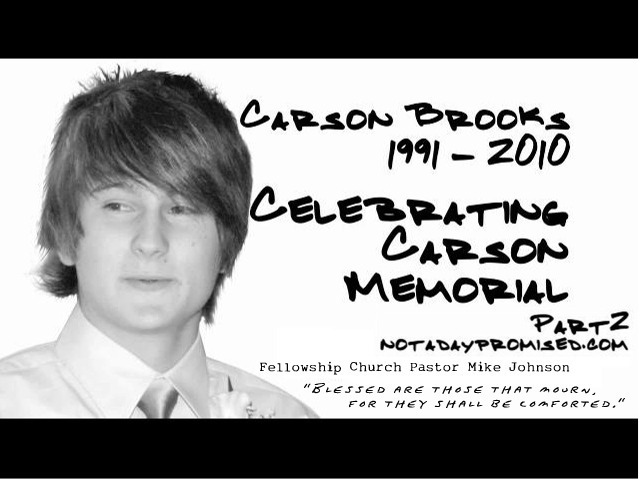 We would like to pay tribute to Fellowship Church, Grapevine, TX, for the way they cared for us upon Carson's passing. It is so easy to celebrate the good times, but when a loved one dies, family is sometimes desperate to cling to one another, and as the whole world continues to spin despite the loss that seems to stop all motion, congregants of the family's local church, true close friends of the family, or others whose love language is simply to serve others in a time of need, make it possible for the family, just beginning to discover their loved one is no longer within their physical grasp, to remain in that suspension, a protective cocoon of sorts, safe and cared for, until such time that life sounds begin to increase again, and vision begins to clear. Our local church family covered us in prayer, stayed connected to us and helped us finalize a celebratory service to honor our loss. On Sunday, July 18, 2010, in the FC Chapel, with nearly 500 in attendance, the Brooks family shared their collective heart by celebrating the life of Carson Chandler Brooks among the many; with pictures, memorabilia, video, praise music, remembering, sharing the Word of God, laughing, crying and seeking Him who strengthens us in our time of need. The entire service lasted almost one and one-half hours, all remaining in attendance; followed by the majority of those attending staying after patiently to speak with our family before leaving. We were overwhelmed with love by all, and our memory of the event will ever remind us that our God is bigger than any tragedy one can suffer. 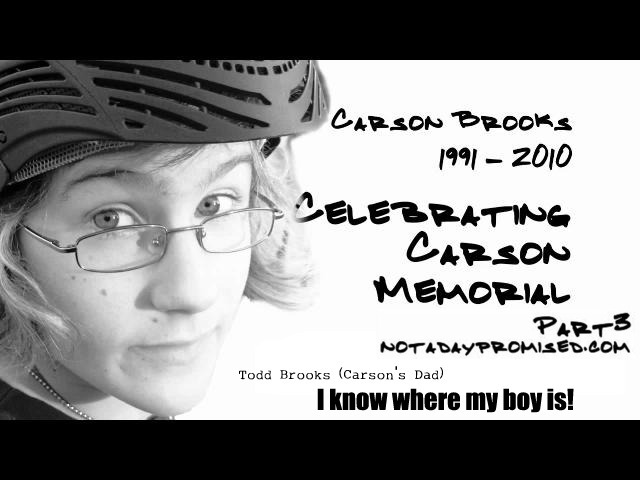 The service video has been separated into three parts: 1) Collin, Channing and Pierce Brooks, 2) FC Pastor and close family friend, Mike Johnson and 3) Todd Brooks (Carson's dad). 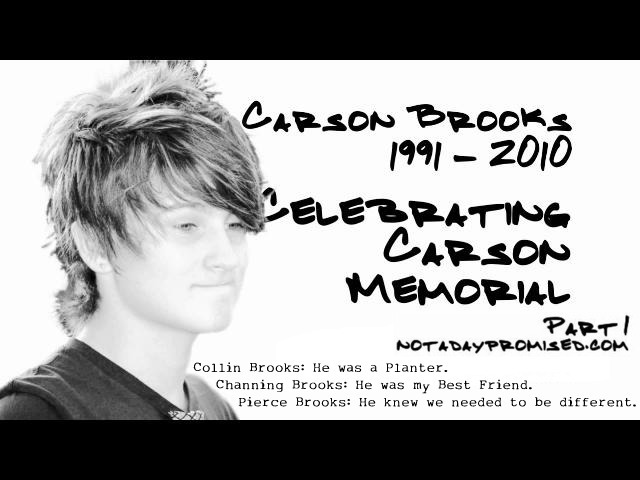 In memory of Carson Chandler Brooks, we offer insight to a wonderful event celebrating his life. Just click on one of the three pictures below to play that video.